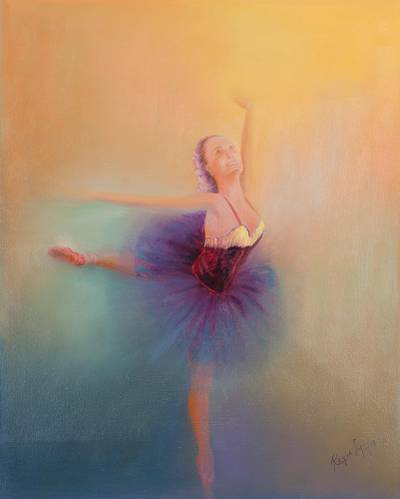 Classical Ballet Dancer Original Oil Painting, "Celestial Dance"
Bathed in the spotlight's warm glow, she deftly moves with studied grace. Teodoro Reque depicts the twirling grace of classical ballet. He depicts the lithe dancer on pointe with a style that tends toward abstraction, exploiting the natural transparency of oils. Titled "Danza celestial" in Spanish.